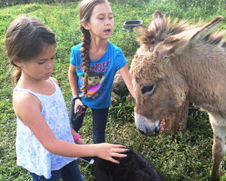 It took many people of differing strengths to make North Kohala Community Resource Center the healthy organization that it is today. It took one person’s leadership to recognize that building on these strengths would sustain NKCRC’s relevance to the community for a long time to come. North Kohala Community Resource Center’s Founder and Director, Bob Martin, has led the creation and development of an organization that has kept the heart of the community in mind at all times. With years of hard work, thought and insight, he has ensured that NKCRC has been grown from the community, not imposed upon the community. 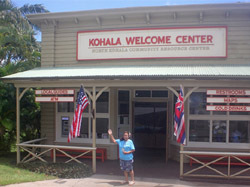 With Bob’s leadership, as well as that of other founding directors: Nani Svendsen, Bill Graham, Corey Causey, Gino Amar, Fran Woollard, Desiree Yamamoto, Dennis Matsuda, and Lani Bowman, the North Kohala Community Resource Center was incorporated in the State of Hawaii as a nonprofit on February 13, 2002.